Lewis got his start in finance at a young age, learning the ropes from his parents who have been successful Finance Brokers for 20+ years. This lead him to a Bachelor of Business in Finance & Marketing at QUT. 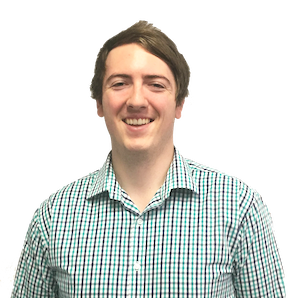 During his degree, Richo as he is known around the office, assisted QPF’s Operations and Broker Support teams. This experience further equipped Lewis with knowledge of finance products and lenders, allowing him to smoothly transition to a Broker role in November 2017. Known as the office sports guru, Lewis spends his spare time playing social touch football and gridiron. During his Bachelor of Business in Finance & Marketing degree, Richo as he is known around the office, assisted QPF’s Operations and Broker Support teams. This experience further equipped Lewis with knowledge of finance products and lenders, allowing him to smoothly transition to a Broker role in November 2017. This 2014 Maximus MXC-2 Cone Crusher is now headed to a job site to assist with upgrades to the M1 in Brisbane! QPF Broker Lewis Richardson assisted Crusher Screen Sales & Hire to acquire this beast to expand their fleet of late model mobile crushers, screens and track conveyors for hire. I have used QPF Finance before for a Super Dog purchase but needed to update my Bobcat and Lewis Richardson made it so easy and fast. Thanks again Lewis I will be back for sure.